Adobe Summit, a world-leading digital marketing conference, kicks off in Las Vegas on March 25th, hosting agencies and brands alike sharing their strategies, tools, and insights needed to succeed in the experience economy. At this year’s Summit, Isobar U.S duo Brian Fegan, Interactive Architect, and Jason Griebeler, Back-End Architect, will present how Isobar’s digital overhaul of Enterprise Rent-A-Car’s business drove to national success, on Thursday March 29th at 13:30. In the one hour session, designed for technology architects and interactive marketers in mind, the pair will share how they took advantage of Adobe Experience Manager, Adobe Analytics, and Adobe Target to transform the world's largest rental-car brand. Brian and Jason will also explain key elements of the work, and share with the audience how to strategically leverage components of the Adobe suite to create a roadmap for success with other brands, evolve the Experience Manager platform for multiple brands, and how to integrate cutting-edge technologies into the Experience Manager ecosystem. 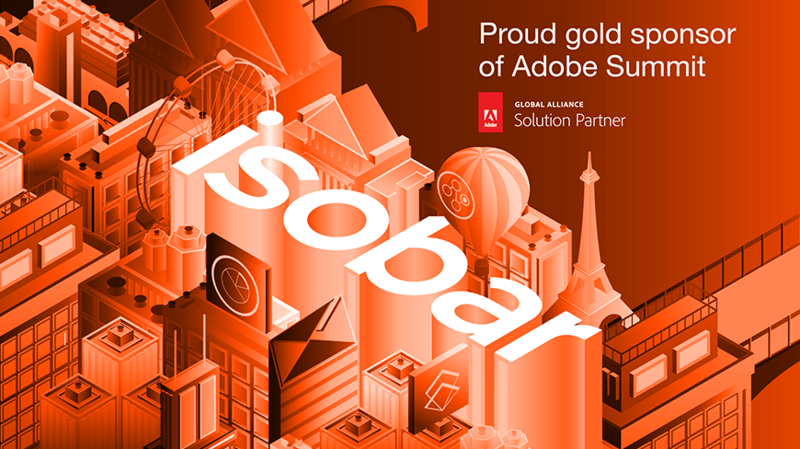 As well as the session, Isobar is an Adobe Summit gold level sponsor so stop by booth #717 which is open to delegates all three days. The booth will feature key Isobar case studies, with Isobar’s Adobe experts from multiple markets around the world attending. Isobar has launched experiences for some of the world’s leading brands using Adobe, and offers clients a range of expertise, from business optimisation, ecommerce solutions and cloud services, to consumer insights, media optimisation and web experience design. Learn more about Isobar’s work and partnership with Adobe here.